Maximoff Hale is the son of reality television star royalty. His entire life, he has known nothing but the spotlight, the constant nagging of the paparazzi, and has always had a body guard. But when his guard retires, Moffy is faced with having to spend his days with a new guard. He’s even more shocked when that new bodyguard ends up being his childhood crush, Farrow Keene. Farrow is five years older than Moffy, and with his father being the Hale family physician, he’s comfortable with the family. The more time he spends with his charge, the more he realizes he’s attracted to him, and the feeling seems to be mutual. The only problem? Bodyguard and charges cannot date, making anything between them forbidden. I was so extremely excited for this book, not only is it a spin-off of the Addicted series, but we get an MM romance too? I was completely overjoyed and ecstatic, it’s like Christmas came in June! 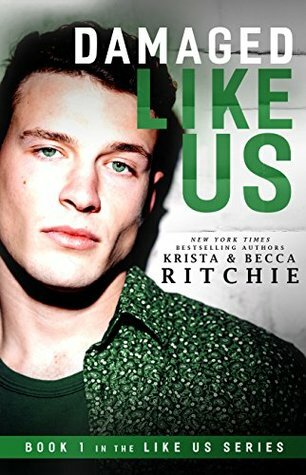 Finishing this book, I came to the realization of why I love books by the Ritchie twins so much: they always deliver a quality story with realistic, relatable characters and lots of feels. It’s obvious they take their time when writing a book and make sure the reader gets a story of great caliber. 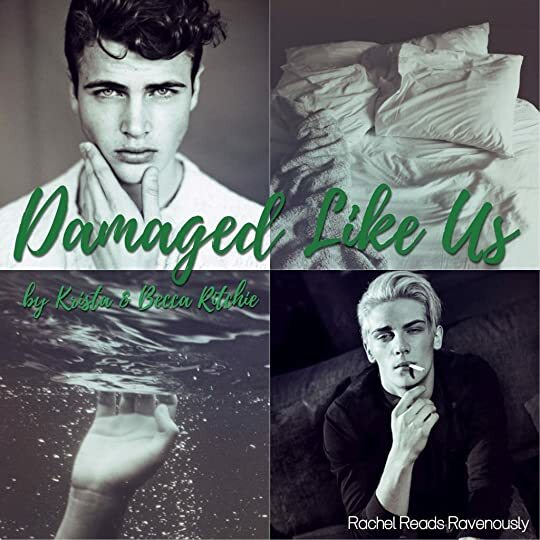 And Damaged Like Us follows in that same vein. I loved both Moffy and Farrow equally, these two men were amazing! Moffy is the oldest of all the Calloway children, and because of that he falls into the role of protector. Moffy will support is siblings and cousins, would kill for them. His loyalty to his family is the most important thing to him. Farrow values his work, he knows that what he does makes a difference, and he will also do anything to keep the family safe. It’s rare that I say this about a character, but I also really dug Farrow’s demeanor, the twins did an amazing job describing him and developing him. There were some issues near the end that I felt were rushed and kind of brushed aside. I wish that we had seen more of what came of those issues, but maybe we will see more of their impact in the next book? Or a novella? I was just shocked by the behavior of some of the characters from the original series and never really got an explanation or confrontation about it, which I really wish we had. I love these authors, I after having read eleven works by them I can honestly say they write the best books in the indie romance community. I really enjoyed this book, it’s a fantastic start to a new series and I cannot wait to read what is to come.